Photographer Jonathan Becker celebrates the publication of his new book, Jonathan Becker: 30 Years At Vanity Fair, (Assouline, 2012) three decades after his portraits first appeared in the prototype for the magazine's 1982 relaunch. The following is excerpted from my interview with Becker on Le Journal de la Photographie (here). Elizabeth Avedon: How did you begin working for Vanity Fair? Jonathan Becker: Thanks primordially to Bea Feitler when she involved me with Vanity Fair's relaunch after almost 50 years. I'd loved the old issues of Vanity Fair, The Smart Set, those great magazines of between the wars, and to be involved with the prototype for this relaunch was beyond my happiest imagination, my wildest dreams. Bea in a sense launched me when she launched the prototype because you had in it Avedon, Penn, Helmut Newton, Annie Leibovitz, Bill King and Jonathan Becker. Who’s Jonathan Becker, right? She finished it and sent it to the printers, then got on a plane to Rio and died. It was her swan song. I don’t think she ever saw it. It was awful. Heartbreaking forever. She went off and died, but she had thrown me over the fence. It was pretty rocky for the first decade of the magazine. You had changing editors and then Graydon Carter came in and put his shoulder to it and really made the magazine a success in terms of again being the glamorous intellectual magazine that it is. EA: How does it feel to have all three decades of your work collected in this book? JB : I’m so moved to have this book printed. It feels important. In a sense, it also feels like a Christmas present from Graydon, because he let it be done and let the title of the magazine be used. Graydon always wanted me to collect my work in a book and had quite a hand in this one's inception. He stipulated the formatting of the book, a strict portfolio format. He even stipulated the Helvetica type for the cover. It’s an Assouline format, but it’s the one he approved. I don't think he wanted me or anybody editorializing randomly under the Vanity Fair name. Brilliant set-up. All this was decided in a half an hour meeting, and then I oversaw the rest. Graydon's truly one of the great editors of all time. I'm very lucky to work with him. EA: Tell me about the dinner scene in your photograph of Camilla and the Prince of Wales in Buckingham Place in 2001. JB: This was in the long Picture Gallery, hung with just dumbfounding paintings – Rembrandt, Vermeer, Rubens and so on. They made a long table, the length of the room with hundreds of people seated. The center of the room was Charles and Camilla. He’s talking to Lily Safra to his right. Bob was seated, but they made me a special table because I had to get up and down. I didn’t use a flash, just available light. It’s a candle-lit photograph. This was the first time they had entertained and received publicly, officially at Buckingham Palace, and it seemed very important to the Prince. 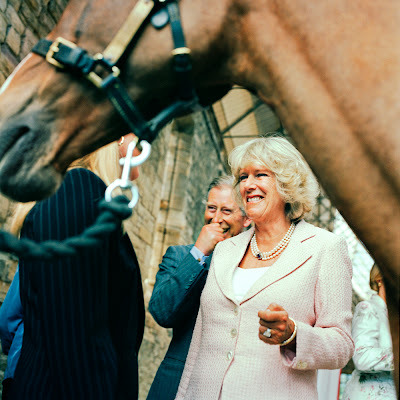 She was still Camilla Parker-Bowles. He really appreciated the tone of the picture and the gentility of the whole thing. It was very good for their image together. This story was a huge success for them and everybody else. TRH the Duchess of Cornwall and the Prince of Wales, Richmond, North Yorkshire, England, 14 September 2005. Published December 2005. Photograph © Copyright by Jonathan Becker, All Rights Reserved. 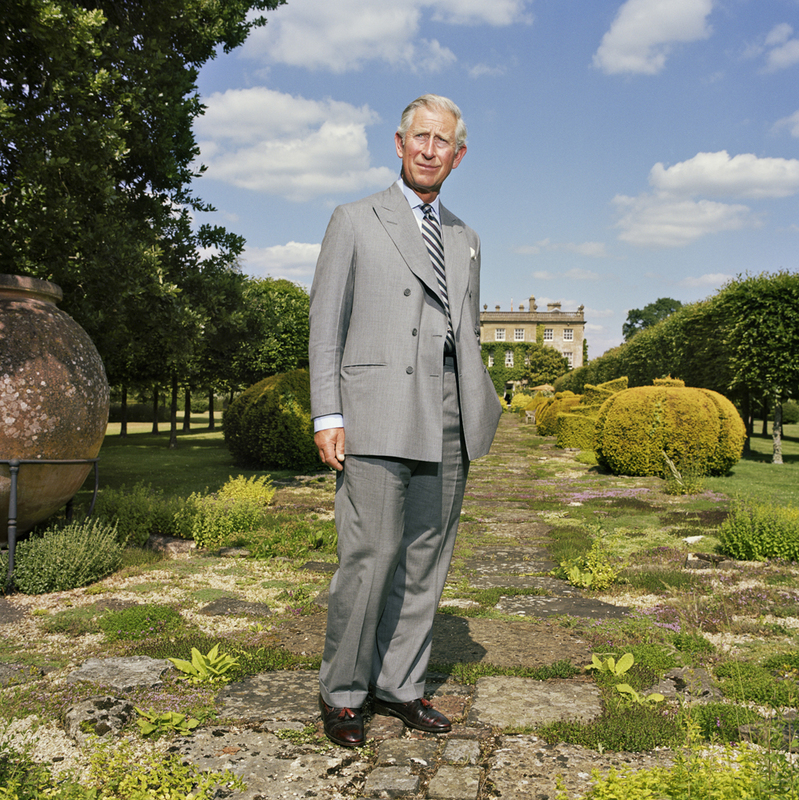 EA: I really admire your photograph of Prince Charles standing in his garden. How did that come about? JB: Bob Colacello and I went out to Highgrove with Robert Higdon, the then Executive Director of the Prince of Wales Foundation who had hired me. Bob and I wanted to craft a story for Vanity Fair about the Prince's good deeds and all formidable people who had come over for the Prince of Wales Foundation charity events. 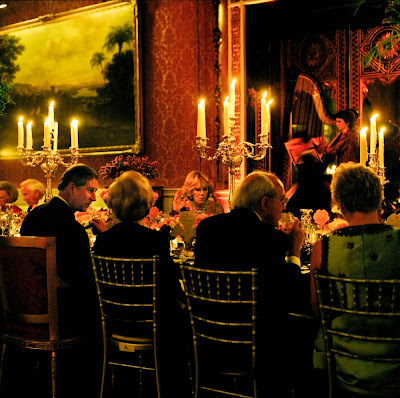 One result was the picture of Charles with Camilla entertaining together at Buckingham Palace for the first time. This was the first time I'd photographed the Prince, and the story came out very, very well. It was wonderful; I had the whole run of Buckingham Palace. It was like Eloise with a camera! 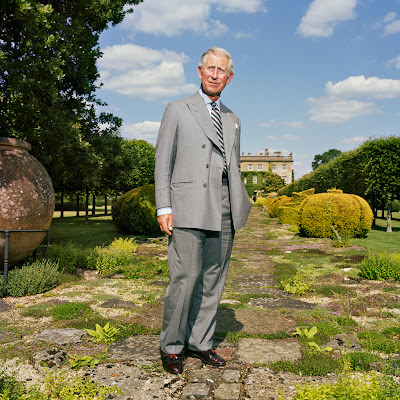 This was a simple story, again with Bob Colacello, about the Prince of Wales's charities and charitable causes and about Highgrove, so I got to photograph the exquisite Gardens and whatnot. The Prince was very relaxed: this was the third time I’d photographed him. There'd been another Vanity Fair story with Bob in the interim. Highgrove is such a beautiful place. Look at the walkway. These are all different varieties of thyme growing between all the lichen-covered paving stones and it’s so perfectly matured and all these topiaries, and the colors, all the shades of green and pale yellow and ochre and blue sky. Even his shoes have a little red tassel. EA: What historical implications do you feel this body of work possesses? JB: It’s a document of documents spanning 30 years of time – actually fairly important times with important people in important places – all touched by Vanity Fair. The criteria for the book is that either the picture had to be done on assignment for Vanity Fair, whether or not it were published, or it can be a picture that I did elsewhere for other reasons that were itself actually published in VF. I feel that photography is a documentarian art form. I feel it’s very important to have a film negative as proof that this was for real. I don’t have anything against digital imagery per se as long as there’s some point of departure and reference – which there isn’t. They’ve made a big mistake in not establishing some form of a certifiable proof of what the camera took. I don’t care if it’s even a process that one has to go through of verification. This is something I think is very important. Even in war pictures in journalism there’s a lot of fraud from biased, interested parties with digital. Now, with the newest version of Photoshop, as I understand it, there is a way for the program after you’ve done your cloning and cutting and pasting and this’s and that’s, it will rearrange the pixels in such a way that it’s undetectable. 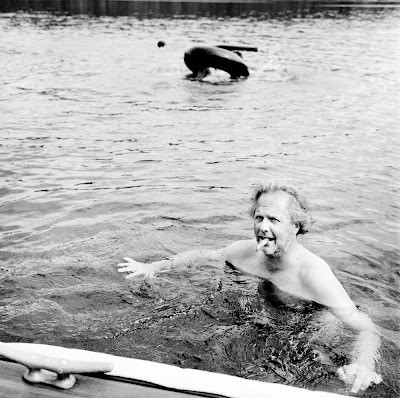 I think, in this way, that digital photography is not photography, in the sense of it being a document. It’s become a form of fiction or photo-illustration. And I feel that photography is a poor tool for fiction, in most cases. I DO like his works, they are deeper, more revealing and beautiful than the first impression we have from it, and what a great first impression it is too. Thank you for writing about My Dakota.